Rossmoor, CA, is well-known for its excellent schools, sense of community, family-friendly atmosphere, and unique architectural elements — many of the homes in Rossmoor were built between 1940 and 1969. 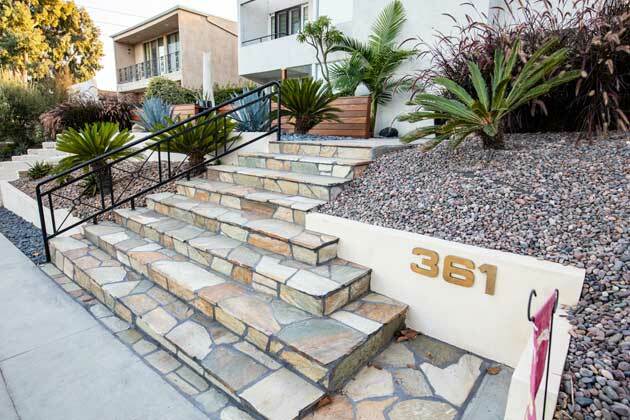 This leads to gorgeous, well-planned neighborhoods in a convenient setting. Opportunities for Rossmoor homeowners are endless: you might love spending your day shopping at Rossmoor Village Square, enjoying the greenery at Rush Park, or even taking a short drive to the beach at Seal Beach. But at the end of the day, you love returning to your beautiful home and property. If you're looking to elevate your home, luxury landscape design and construction can help take your property to the next level. Whether you're looking to install stunning water features or beautify your home with native plant landscaping, Cutting Edge Landscape Design can help you create a landscape that resonates with the rest of the neighborhood — but still showcases your unique aesthetic. With only 12 inches of rain on average per year, the city of Rossmoor, CA, can claim a lovely climate along with its other winning attributes. With all those sunny days to look forward to year-round, it just makes sense to build an outdoor living space tailored to suit your needs. And in a community that values friends, families, and neighbors so much — outdoor living can help bring everyone together. Love the idea of working on your golf game on the evenings, weekends, or cool mornings? Custom putting green installation on your property offers the perfect opportunity to practice your swing, entertain your guests, and even teach others the finer points of golf! When you think of your ideal outdoor living space, you might have a streamlined, convenient, efficient outdoor kitchen in mind. Entertain guests, cook for your family and spend extra time outside with a custom-designed outdoor kitchen. Add a grill, sink, mini-fridge, storage, counter space, or anything else that would make your outdoor kitchen ideal. Even after sunset, you and your guests might love the idea of remaining outside. 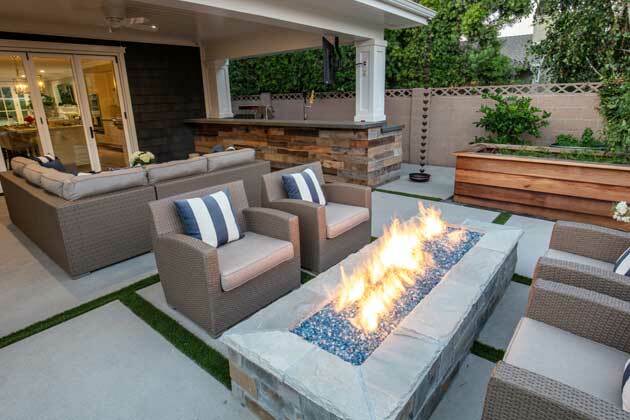 Installing a gas fire pit allows you to enjoy your outdoor spaces for longer and cozy up to a safe, cheerful, and relaxing fire. Whether you want to cool off in the pool on a warm summer day — or take a dip in the Jacuzzi to warm up — custom pool installation and water features add an irreplaceable element to your property. 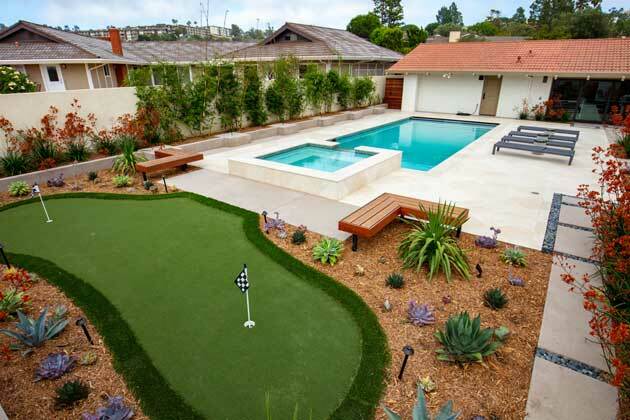 Not only are pool features fun and entertaining, but they can also contribute to a beautiful landscape aesthetic. 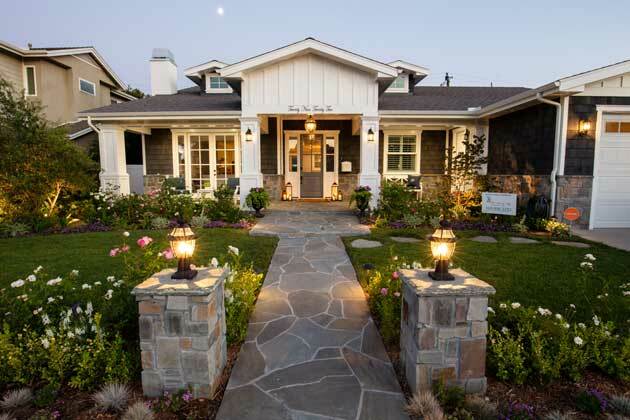 Love to stay out late on the patio, chatting with friends or family or simply just enjoying a calm Rossmoor evening in your neighborhood? Outdoor lighting can not only add an element of beauty and elegance to your property, but all help to keep you and your guests safe after dusk. When it comes to creating your perfect outdoor living space, our experts are trained to deliver unforgettable results. By creating custom patios and walkways, our design experts can connect all the aspects of your property. At the end of the process, you wind up with a landscape that seamlessly fits in with your neighborhood, yet allows for your unique vision. If you're ready to get started with a consultation, get in touch with us at The Cutting Edge Landscape design today. With years of experience creating landscapes in this area, we know how to craft a natural landscape that requires little water, minimal maintenance — and still looks beautiful. By working with the soil conditions and micro-climate of your home, we can create beautiful and unique drought-resistant landscapes that add a unique edge to your property. Just like Rossmoor's urban forest provides a natural habitat for bird and butterfly species, native plant landscaping on your property fits in with the ecosystem, reduces pollution, and reduces the need for maintenance. In addition, native plant species are beautiful, vibrant additions to any property. Wishing you had a flower garden? Herb garden? Vegetable garden? Or even a bright, colorful succulent garden? Whatever your vision may be, we can help make it a reality. As we design, we'll work with you to ensure you get the best garden for your needs and lifestyle. In recent years, artificial grass technology has advanced to create a gorgeous product that closely mimics the look of natural grass. Unlike regular grass, our artificial turf requires no water, little maintenance, and stays green no matter the weather! At Cutting Edge, we specialize in an exciting new landscaping design concept called xeriscaping. 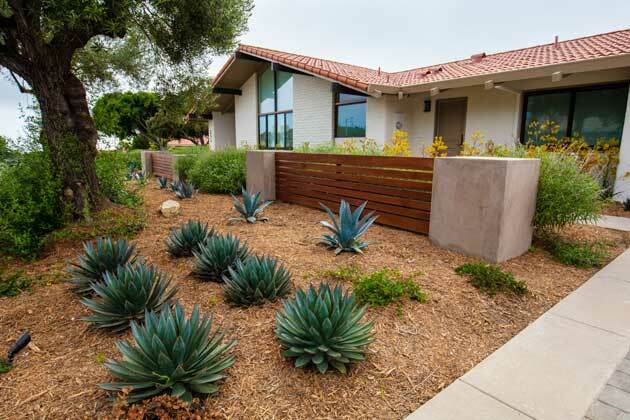 By using elements that require little to no water — like drought-resistant plants, native trees, and mulching techniques — we can create a landscape that is unique, striking, and nearly maintenance-free. As a fully licensed landscaping company, we take the stress off your landscaping project by ensuring every aspect is completed in-house with our team, from beginning to end. Because our employees are college-educated experts who are knowledgeable about architecture, horticulture, and design, you can rest assured your property design and construction is in capable hands. 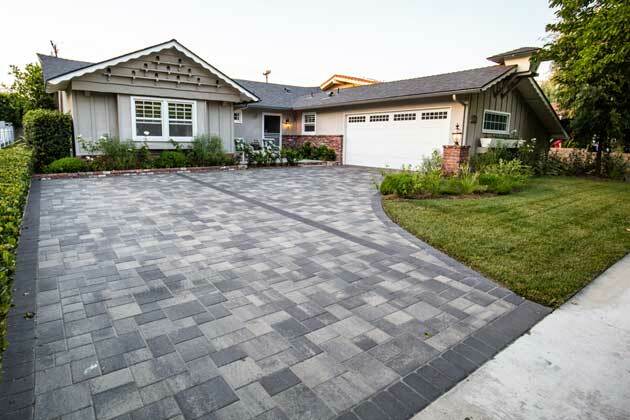 At Cutting Edge Landscape Design, we take pride in using our local knowledge and years of experience to provide a premier landscaping service in Rossmoor. And as licensed general contractors, we can handle every aspect of your project — so your perfect landscape is designed and constructed with speed, efficiency, and minimal stress. We recognize that there are many landscaping companies to choose from and that deciding which one to invest your money with is a big decision. At Cutting Edge, we promise to be available for you. We are never too busy to take your call or listen to your ideas, questions, or concerns. Our professional, college-educated team members will deliver results that you can find nowhere else. Their attention to detail and drive to always do their best work will put you at ease throughout your entire project, whether it be landscape design, xeriscaping, patios, pools, or putting green installation. Contact us today, or give us a call at (310) 406-2251 for the attention you and your home deserve and results that will leave you breathless!